Do you have it in you to become an audio engineer? 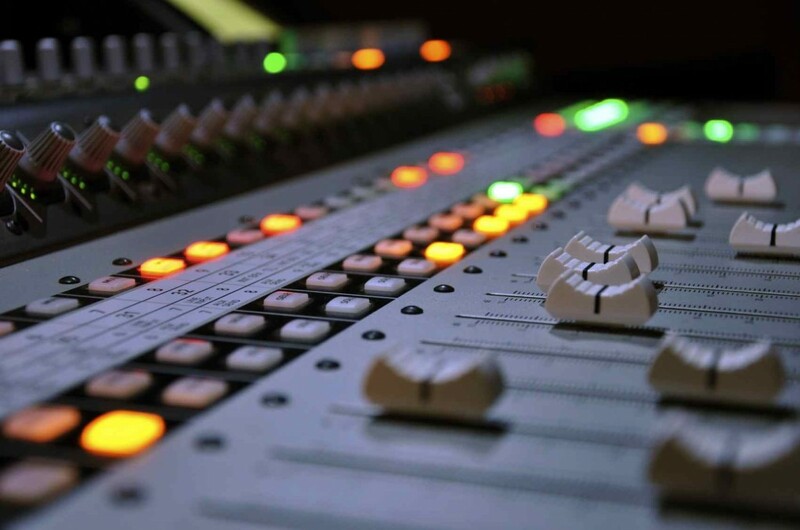 Justin Colleti shares some factual and hard hitting reasons on why audio engineering might not be for everyone, and what it takes for someone to survive and grow big in this field. In general, I like to encourage people wherever they show an interest. Although audio is a competitive field that’s been hard hit by a sluggish economy and rapidly-restructuring music industry, I still find it to be a rewarding line of work. But for many, audio production has become more than that. For the first time in history, it’s an affordable hobby as well. Despite big-studio closings, a struggling music industry, and the most sluggish and inequitable economy since the Great Depression (thanks, trickle-down economics! ), current data from the US Bureau of Labor Statistics projects the audio technology field will continue to grow modestly in coming years. So it’s not all completely grim. Although budgets for label projects have shrunk significantly, there are dramatically more records being made each year. While not all of them are commercial releases, and many are recorded at least in part at musician-owned home studios, these types of projects still account for a significant slice of business for many engineers. Even low-budget personal projects regularly enlist professional help in drum tracking, vocal coaching, mixing, and mastering. Still, make no mistake: as an occupation, music recording is more competitive than ever. 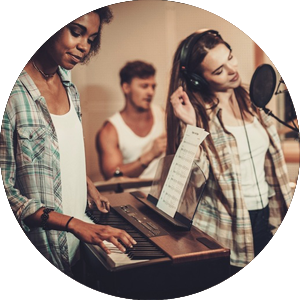 If you ever keep a log of the emails and phone calls the average recording studio receives, you might come to the conclusion that specialized recording schools are graduating far more students than there are even unpaid openings for. Landing an uncompensated internship at a busy studio can seem like a lightning-strike of good fortune, but even that is just the beginning. If you’re an ambitious self-starter, you might take your training into your own hands, like I did years ago. But since recording has become an increasingly mainstream hobby, it can be more now to difficult to differentiate yourself from the rest of the fray. 3) If you fail to make money, you will feel like a failure. Playing an instrument, singing, and writing songs are all potential career paths, for sure. According to the BLS there are 300,000 full and part-time working musicians in the United States, and on average they earn between $20 and $30 an hour. But these activities have also been seen as respectable hobbies as long as we’ve been a species. As creative outlets, they’re widely regarded as ends in and of themselves. Aspiring audio engineers aren’t as lucky. Their pursuit is seen simply as a job. A fairly cool job, sure, but they fail to make a living at it they’re not seen as overlooked or unaccommodated talents. They’re just unemployed. Let’s test this hypothesis with a little mental exercise: Would you hire and pay a drummer who made a good portion of his salary as a bartender? Sure, so would I. Great. How about an actor who made most of her living as a waitress? Yeah, me too. OK. Now how about an audio engineer working in either of those roles? Oh, maybe not? A plumber? Yeah, me neither. Despite long and erratic hours, a highly competitive job market, lower wages than many professions that require similar levels of expertise, and a systemic lack of benefits packages, working with audio for a living can be pretty fun as far as careers go. Climbing an indoor rock wall, fly-fishing, drawing ribaldrous cartoon characters in compromising positions, canoeing, reading theoatmeal.com, taking the pot in Texas hold ’em, joining a kickball league, knitting, developing your reputation as an encyclopedic movie buff, learning to throw a boomerang, quidditch, mastering Mike Tyson’s Punch-Out, flying a kite, having a picnic on the beach, drinking sangrias in the park, and naturally, perusing Trust Me, I’m A Scientist. It’s hard to make the same argument against more musical activities, like: smacking things rhythmically with big wooden sticks, penning an expressive melody, strumming a guitar in front of dozens of friends who traveled miles just to see you, or stumbling through a favorite old-timey jazz standard on the piano with your significant other. Whether you’re working on audio books, albums or film mixes, even the most inventive audio engineer’s role is still facilitating the creations of others. Unlike playing an instrument, writing a novel, or reciting the alphabet backwards while juggling lawn chairs, you can only really work on your craft when you have willing partners. On top of that, whether or not the finished project is really worth hearing is largely out of your hands.